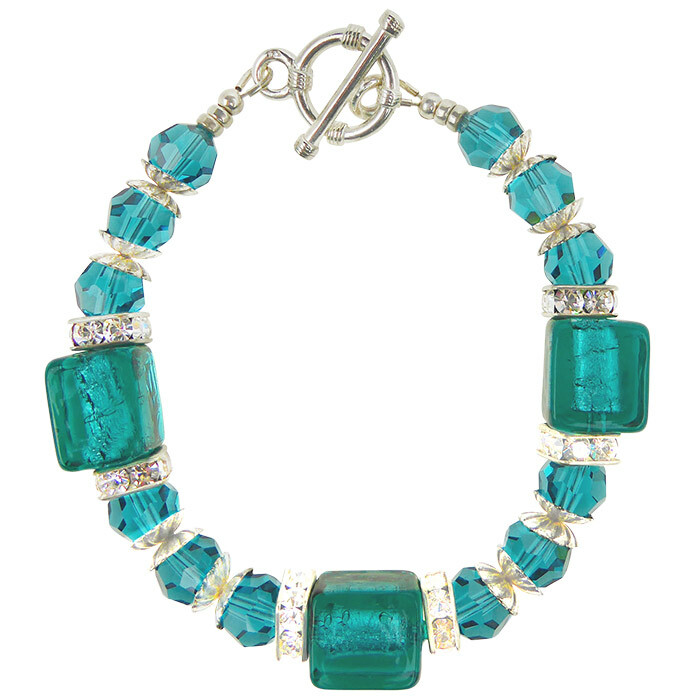 Murano Glass Cubes in a rich Aqua/Green with matching Swarovski Faceted Beads are the design components in this very wearable Murano Glass Bracelet. Sparkle is provided by crystal square rondelles. The components are all sterling silver for long life. For other lengths, please contact us as we hand make each bracelet, we can adjust the length.